Slipstream Magazine is a yearly anthology of some of the best poetry you'll find today in the American small press. A single issue of Slipstream costs $10 and generally consists of 75 to 100 pages of poetry, fiction and artwork. Subscriptions are $20 and include two issues of the magazine plus the two most recent chapbooks. 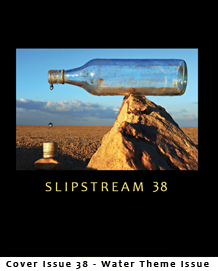 Founded in 1980, Slipstream features the work of both new and established writers. Charles Bukowski, Gerald Locklin, Wanda Coleman, Lyn Lifshin, David Chorlton, Jim Daniels, Ron Koertge, Sean Dougherty and Sherman Alexie are among the many writers whose work has appeared in the pages of Slipstream. See our Submission & Contest Guidelines  No E-Mail Submissions, please. Call for Submissions - Theme Issue: "Boneyards, Junkyards & Backyards"
Slipstream is currently reading for Issue #39 from now until May 1, 2019. The issue will be published in fall 2019. We seek poetry that explores the theme "boneyards, junkyards, & backyards." Creative interpretations are welcome. Submit up to five (5) poems in one document file only. We also are seeking artwork for the issue. Please do not submit again until you have received a response on the status of your current submission. Please refer to our Submission Guidelines to submit. Slipstream is pleased to announce that Robert L. Penick, of Louisville, KY, has been selected as the winner of Slipstream's 2018 Poetry Chapbook Competition for his collection, Exit, Stage Left. The award includes a $1,000 prize along with 50 copies of the book which will be available in fall 2018. All entrants in the competition receive a copy of the winning chapbook along with a classic issue of Slipstream magazine. Penick's work has appeared in over 100 different literary journals, including The Hudson Review, North American Review, and The California Quarterly. He lives in Louisville with his free-range box turtle, Sheldon, and edits Ristau, a tiny literary annual. You can find more of his poetry at: theartofmercy.net. Slipstream is currently accepting poetry manuscripts of up to 40 pages for the 2019 contest with a deadline set for December 1, 2018. 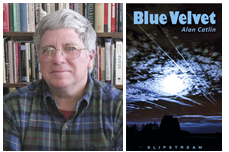 Alan Catlin, of Schenectady, NY, was selected as the winner of Slipstream's 2017 Poetry Chapbook Competition for his collection, Blue Velvet. Catlin has been publishing for the better part of five decades. During that time he has published thousands of poems in hundreds of magazines from the mundane to the outlandish to the well-known and everything in between. 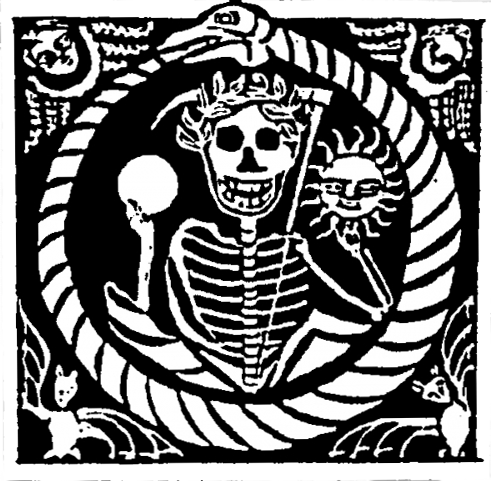 In his working life he was a barman, a profession he credits with warping his mind forever and giving him a unique perspective on life. He has published over sixty full length books and chapbooks including: Last Man Standing from Lummox Press, American Odyssey from Future Cycle Press and forthcoming, Hollyweird from Night Ballet Press, which also published his Beautiful Mutants chapbook. He is the poetry editor of the online poetry magazine misfitmagazine.net. The annual Slipstream poetry contest offers a $1,000 prize plus 50 professionally-printed copies of your book. Deadline is Dec. 1 every year. Everyone who enters the poetry contest receives a copy of the winning chapbook plus one complimentary issue of Slipstream magazine. The winner of the contest is typically announced in late spring/early summer. The book and author are featured prominently on the Slipstream website for one year, as well as in all Slipstream catalogs, press releases, and promotional materials. Send up to 40 pages of poetry: any style, format, or theme. 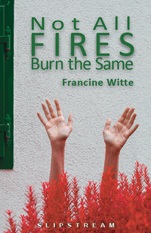 The winner of the 2016 Slipstream Poetry Chapbook Competition was Francine Witte, of New York, NY, for her collection of poems entitled "Not All Fires Burn the Same." A former high school English teacher, Witte grew up in Queens, NY. She earned her MA in English/Creative Writing at SUNY Binghamton and her MFA in poetry at Vermont College. 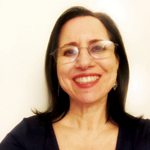 She is the author of the poetry chapbooks Only, Not Only (Finishing Line Press, 2012) and First Rain (Pecan Grove Press, 2009), which won the Pecan Grove Press competition. She also authored the flash fiction chapbooks Cold June (Ropewalk Press), selected by Robert Olen Butler as the winner of the 2010 Thomas A. Wilhelmus Award, and The Wind Twirls Everything (Musclehead Press). All poets who enter the Slipstream competition receive a complimentary copy of the winning chapbook along with the latest issue of Slipstream magazine. The winner of the 2015 Slipstream Poetry Chapbook Competition was Neil Carpathios, of Portsmouth, Ohio, for his collection of poems entitled "The Function of Sadness." 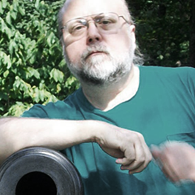 Carpathios is the author of three full-length poetry collections: Playground of Flesh (Main Street Rag), At the Axis of Imponderables (winner of the Quercus Review Press Book Award), and Beyond the Bones (FutureCycle Press). He is the editor of the anthology, Every River on Earth: Writing from Appalachian Ohio (Ohio University Press, 2015). His newspaper column, "Let's Talk Poetry," appears weekly in the Portsmouth Daily Times and online, and strives to showcase the works of poets in southern Ohio and around the country. He is an associate professor of English and Coordinator of Creative Writing at Shawnee State University in Portsmouth, Ohio. John Skoyles, author of A Little Faith, Permanent Change, Definition of the Soul and The Situation, writes: "In The Function of Sadness, Neil Carpathios introduces us to his world, a world familiar to most alert citizens, but one that usually makes us avert our eyes: the maimed, the desolate, the abandoned and those who just plain hurt. In poem after exquisite poem, he makes their traumas ours, and unites us to all things frail and mortal." The 2014 Slipstream Chapbook Contest winner was Nicole Antonio, of Oakland, California, for her collection of poetry entitled Another Mistake. Nicole Antonio studied poetry and screen writing at the University of Southern California, obtaining both her Bachelor's in English and Master's in Professional Writing. Her work has appeared in The Nervous Breakdown, Watershed, and The Truth About the Fact. After serving as the Editor in Chief for the USC's Southern California Review, she moved north and now lives in Oakland. About Another Mistake, Amy Gerstler, author of Dearest Creature and winner of the National Book Critics Circle Award, writes: "Another Mistake is a powerhouse chapbook. This is a hyper-awake, penetrating, gritty, humane, fearless literary voice. Each of these poems displays exemplary control of the pressurized energies at its core. Another Mistake bears fresh, deeply affecting witness to the speed at which Nicole's generation lives, loves, hooks up, slaves and suffers. Our need to embrace dark urges and our fucked up origins, to understand and master pleasure and pain, to be wildly alive but also to face the music, it's all here, articulated with the perfect mix of distance and immediacy. I am an avid fan who hopes a full-length collection is in the pipeline."